Back row: Prof Fulufhelo Nelwamondo, DST, James Clarke, WIT, Imraan Patel, DST and Jeannette Morwane, DST. James Clarke from Waterford Insitute of Technology’s Telecommunications Software & Systems Group (TSSG) was an invited keynote speaker at the Department of Science and Technology (DST) of the South Africa Government’s stakeholder workshop on the Cybersecurity Research Development and Innovation (RDI) Agenda of South Africa, held in Pretoria, South Africa, on 26th Feb. 2015. James Clarke presented the EU's NIS Platform working group 3 activities, to which he is a co-author of a chapter entitled Resilient Digital Civilisation (collective layer), which focuses on the protection and resilience of the groups/society/organizations in the digital interconnected society representing the collective interest of the organized citizens, institutions, and businesses. The DST and The Council for Scientific and Industrial Research (CSIR) also co-organised a second event on 27th February, 2015 entitled Horizon 2020 ICT and Secure Societies Information Session, the EU keynote was again made by James Clarke (TSSG), focussing on his experiences of international cooperation (INCO) projects in the European Commission’s Framework Programme 7 (including INCO-Trust and BIC project, both coordinated by James Clarke of TSSG) and promoting the benefits of participating to the EU H2020 programme to the South Africa participants. According to Mr. Clarke, “The EU’s approach in setting up the NIS Platform to support the EU Cyber Security Directive works towards developing a roadmap for cyber security in the period to 2025. 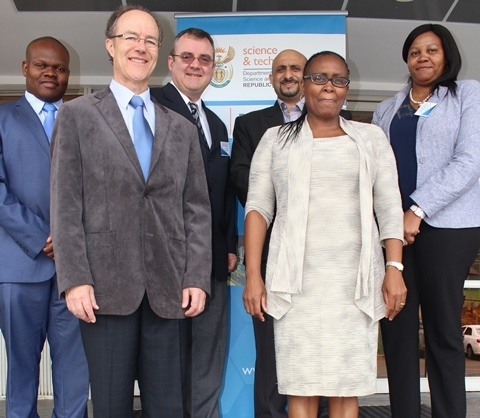 I felt privileged to be involved in these discussions with the DST and CSIR and their stakeholders in South Africa, and based on the outcomes, there are good possibilities for both countries to work together in developing a cybersecurity research roadmap in synchronisation”. The participants at the H2020 workshop were also very interested in the H2020 programme prospects for them, especially in the open call areas related to ICT and Secure Societies topics. The agenda of this well attended event can be found here.